Rachel Premack/Business InsiderMiguel Santiago (L) and Louis Gonzales (R). Coca-Colatruck drivers get to work as early as 4 a.m in New York City. 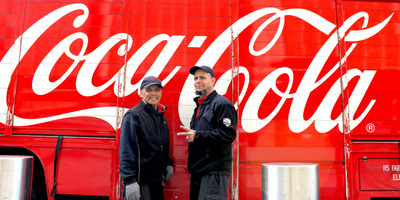 For one day, I followed Miguel Santiago, a 66-year-old delivery driver who has worked with Coca-Cola for 20 years. Santiago makes deliveries to Penn Station. 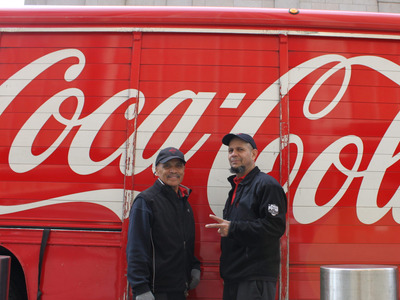 One of the world’s most ubiquitous beverage companies is powered by people like Miguel Santiago, a 66-year-old from the Bronx. Santiago has worked for Coca-Cola for 20 years. 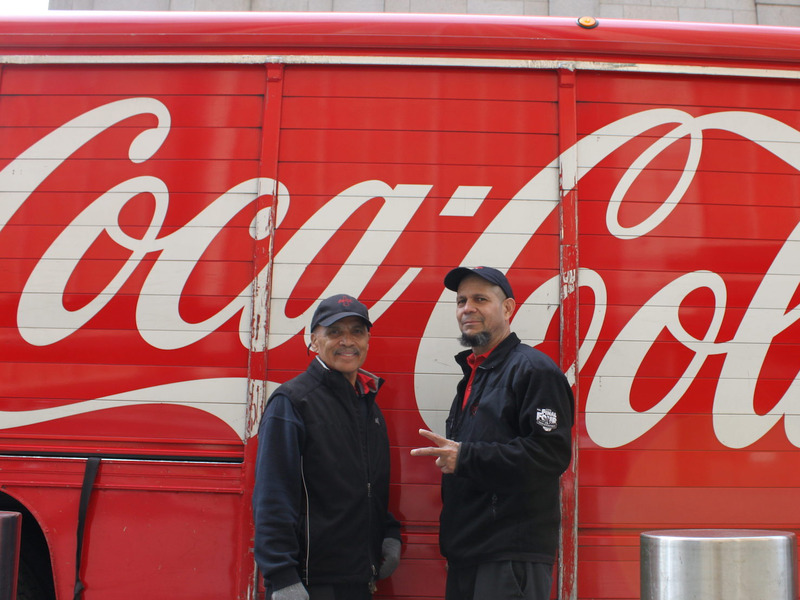 Every weekday, Santiago drives a truck full of Coca-Cola products to New York City’s Penn Station. Along with his helper Louis Gonzales, who has worked for Coca-Cola for 18 years, he unloads the truck and stocks shelves. 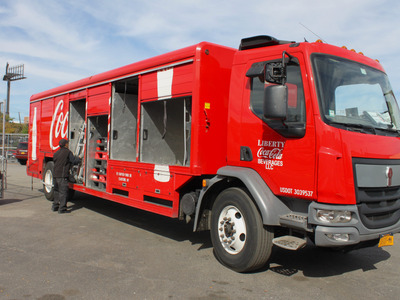 As a Liberty Coca-Cola spokesperson told Business Insider, each truck can hold up to 600 cases, and a case contains 24 bottles. 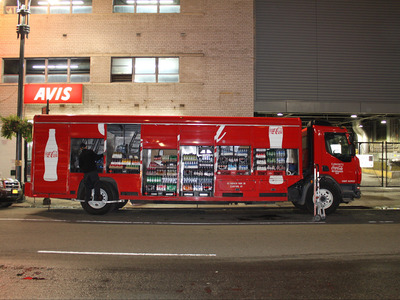 That means that on any given day, they could be handling up to as many as 14,400 bottles. I followed the two around for a day to see what a day in their lives is like. 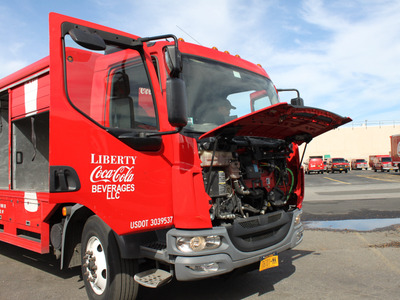 My day started at 3:15 a.m., when I took a Lyft from my apartment in Brooklyn all the way up to the Liberty Coca-Cola distribution center in the Bronx. 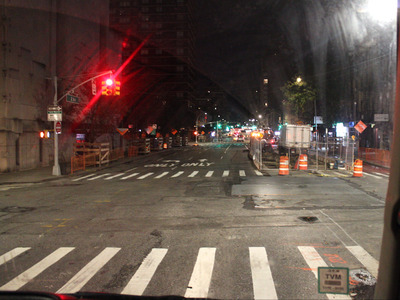 New York is a bit eerie at 3:30 a.m. on a Tuesday. For the city that never sleeps, my neighbourhood was surprisingly desolate. The trip from my apartment near Prospect Park to the Bronx took 30 minutes by car, but by public transit at that hour it would have taken more than an hour and a half. I arrived at 4 a.m. to meet Santiago outside of his truck. He has a car and it only takes him about five minutes to drive to work. My first question for Santiago: Aren’t you tired? Turns out, he loves the morning shift because it lets him spend time with his family after work. He’s on the quiet side, but he was keen to talk about his granddaughter, who just celebrated her 16th birthday. There’s only one problem with his schedule: He has to go to bed at 8 p.m. and misses watching sports. His favourite sport is baseball and follows the Mets. “They stink,” Santiago admitted. 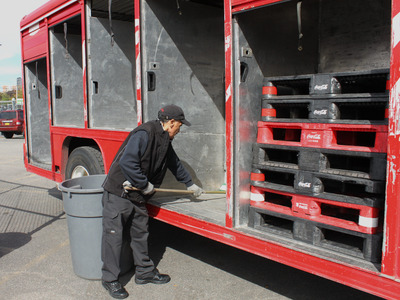 Santiago’s truck changes every day, and his vehicle is already loaded by the time he gets in at 4 a.m. 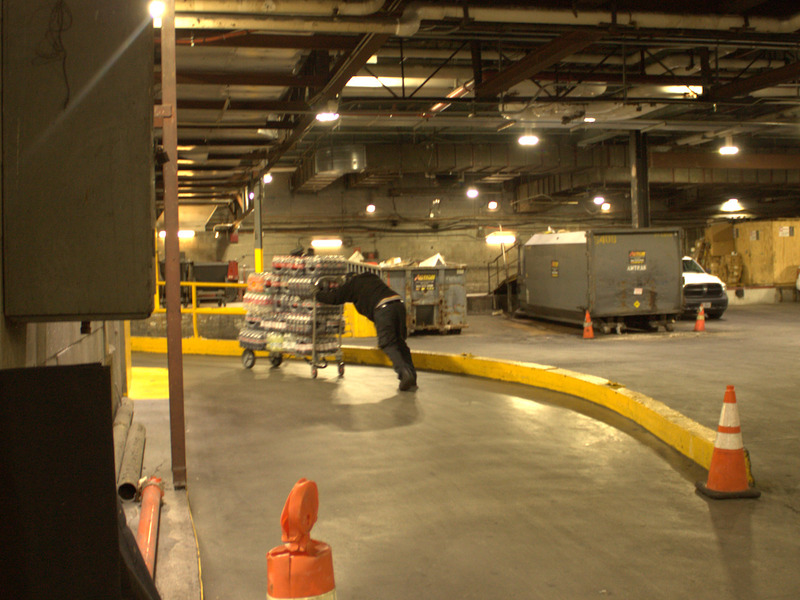 He just needs to load carts in the truck and do some final checks. By 4:30 a.m., Santiago had received his truck assignment and was checking that all of the stock was there, in addition to checking the engine and loading the truck with carts. The whole process took under an hour. He sees a different set of customers every day. 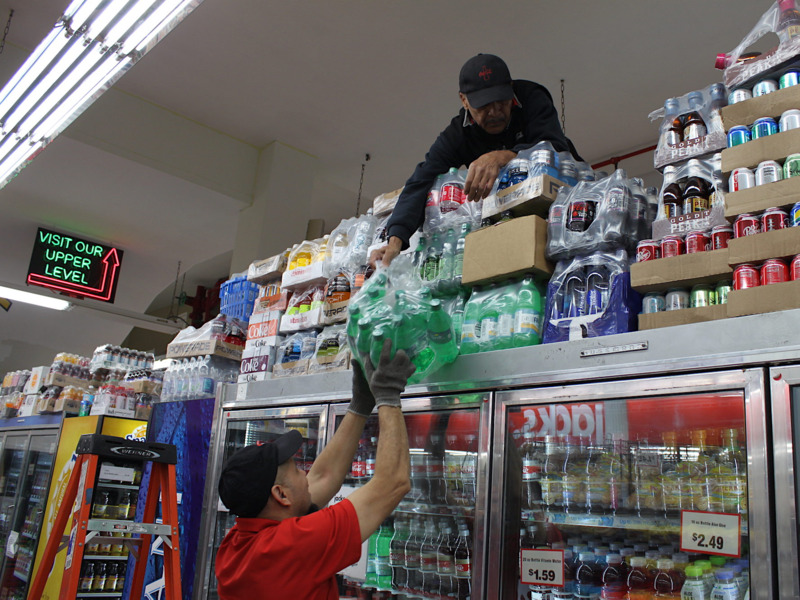 Mondays and Tuesdays are the busiest as customers are stocking up for the week. Fridays are busy too, because they’re stocking up for the weekend. 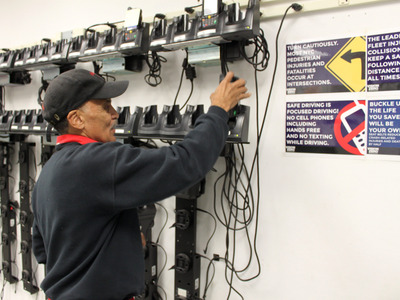 At 5 a.m., Santiago and his fellow drivers went inside the Liberty building to receive their routes. 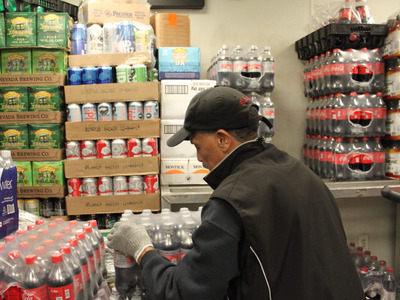 There are more than 100 delivery drivers at Liberty Coca-Cola in the Bronx. 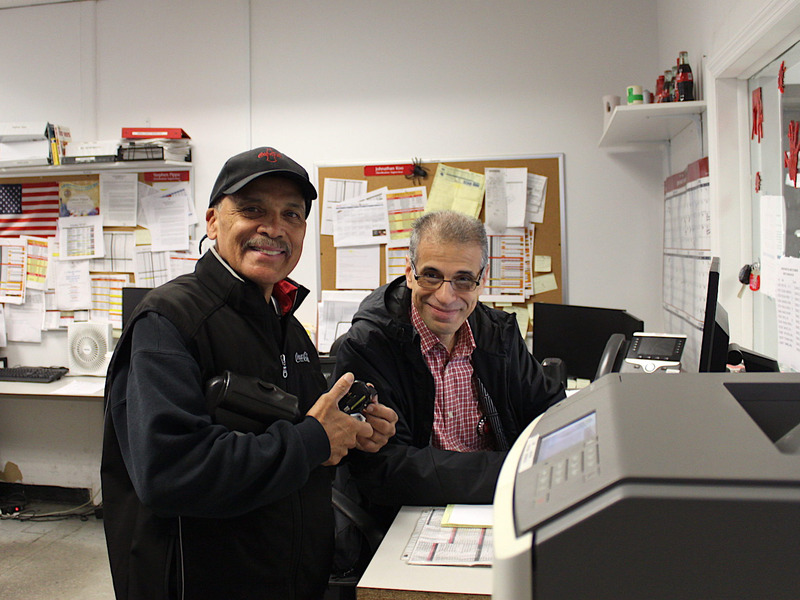 Santiago is the 13th most senior driver at Liberty, so he gets his first choice of route, which is delivering to outlets in Penn Station. That’s been his route for 10 years. This route doesn’t require much driving, which is why Santiago likes it. 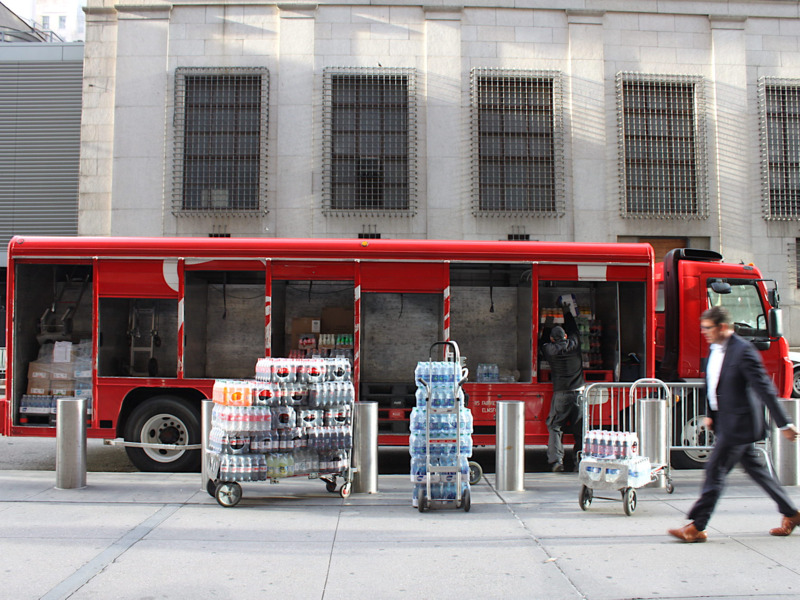 You park and unload your goods, making deliveries by foot to a few different outlets. Inside the Liberty building, Santiago gathered with the other drivers to hear the announcements of the day and to do some stretches together. 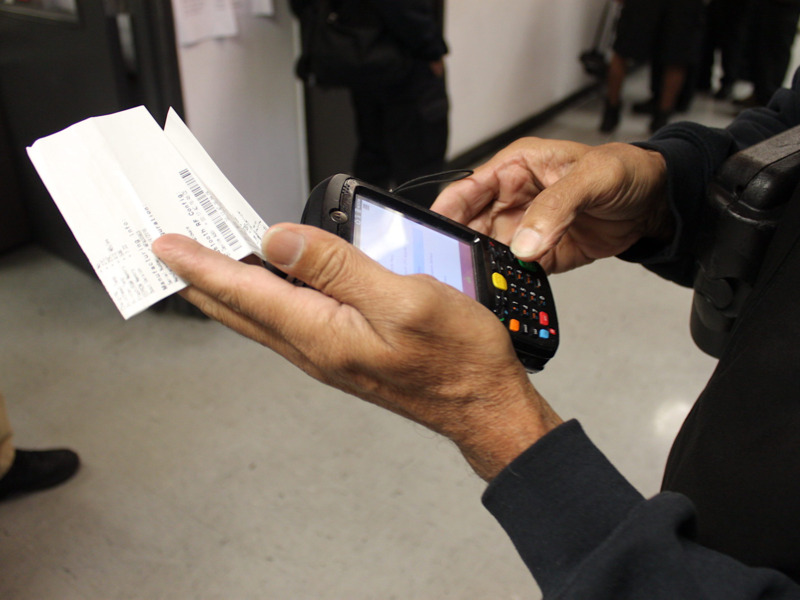 He received his printing and scanning machine, which was loaded with information on all of the customers needing deliveries that day. 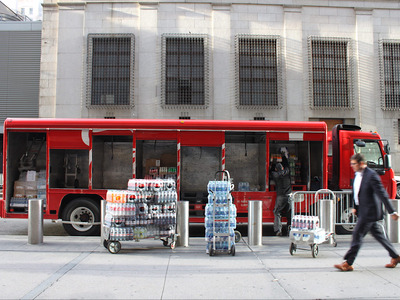 Liberty Coca-Cola is where 8% of the US gets products like Smart Water, Dasani, and Fanta from, to name a few. 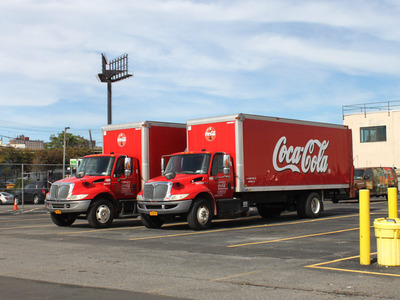 Those in New York, New Jersey, Pennsylvania, Connecticut, or Delaware have probably bought a Coke product through Liberty Coca-Cola. 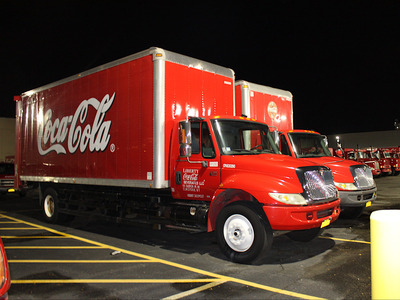 With 10 distribution centres and three manufacturing plants, Liberty Coca-Cola serves a population of 28.3 million. 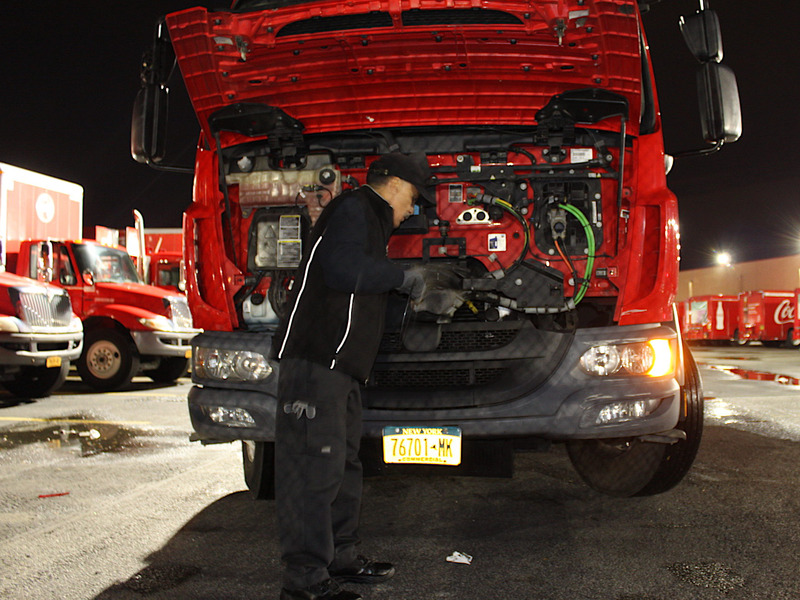 Santiago did another check on the truck and then he took off at 6 a.m.
Santiago listened to Spanish music on the way to Manhattan – an energetic choice for an early morning. When he’s driving in his personal time, he listens to the news. 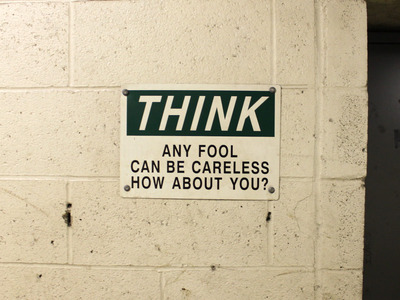 But he said that if he listens to the news for too long during the workday, the stories start to repeat. 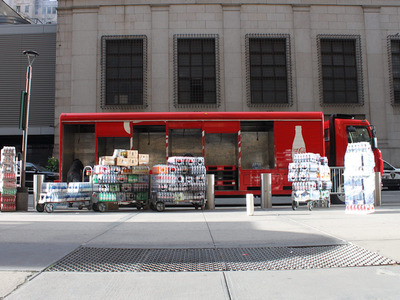 It took just over 30 minutes to go the nine miles from Liberty Coca-Cola in the Bronx to Penn Station — impressively fast considering how crowded these streets usually are. By 6:40 a.m., Santiago was parked outside of Penn Station and was unloading the truck to make his first delivery. Santiago has to schedule his day around store hours. 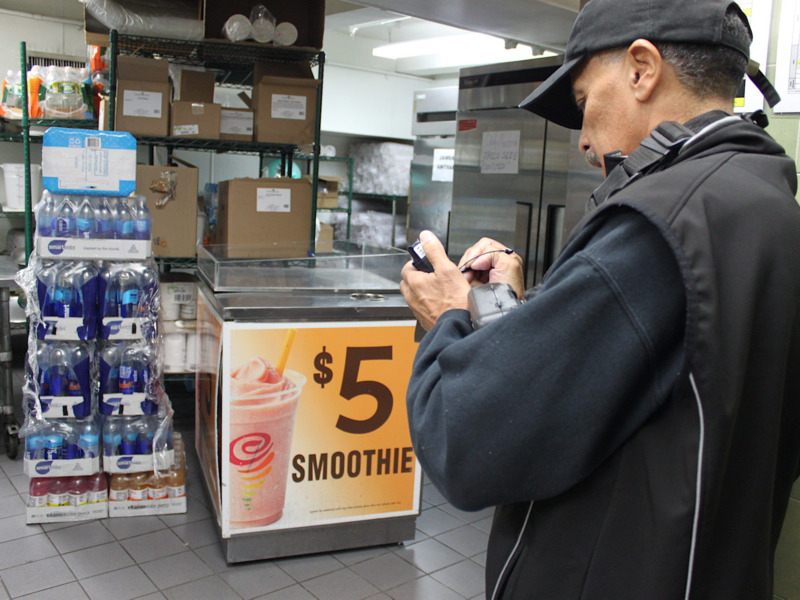 Jamba Juice, which is open for deliveries by 7 a.m., was his first stop of the day. He had a few more customers that opened by 8 a.m., but most of them opened at 11. That meant he had time to unload the truck, and take a quick break. 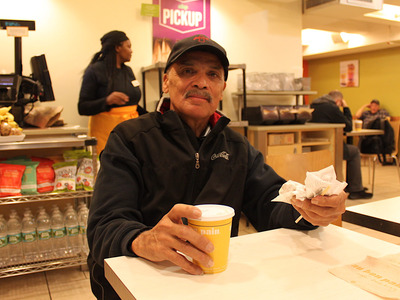 He usually grabs oatmeal and coffee at a bakery near Liberty Coca-Cola, but today he enjoyed a bagel and coffee at Penn Station’s Au Bon Pain. By 7:20 a.m. Santiago had been at work for more than three hours, so it was kind of his lunch break. I’m usually not even awake by this time. I got a large coffee and a sandwich to reach normal energy levels. 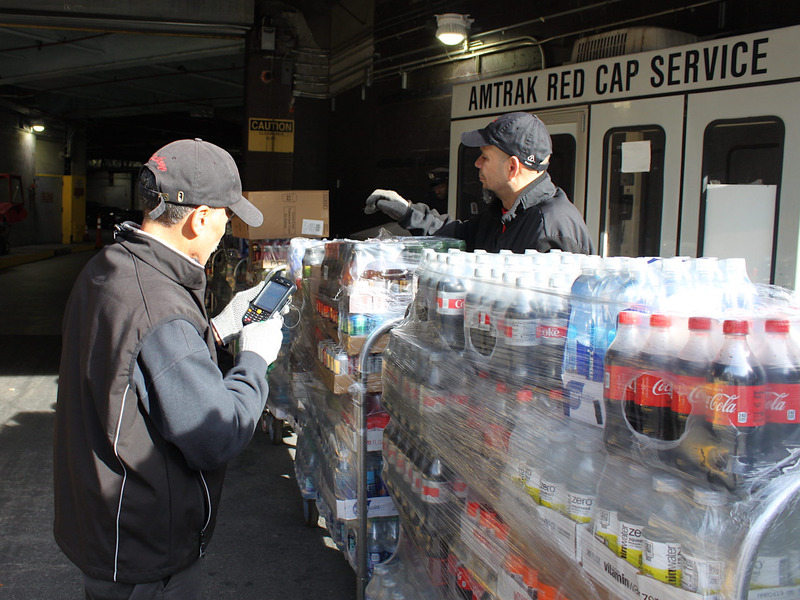 At this point, we were joined by Louis Gonzales, Santiago’s helper in unloading the trucks. Gonzales is also a 60-something man who lives in the Bronx. He gets up even earlier than Santiago: 3 a.m. 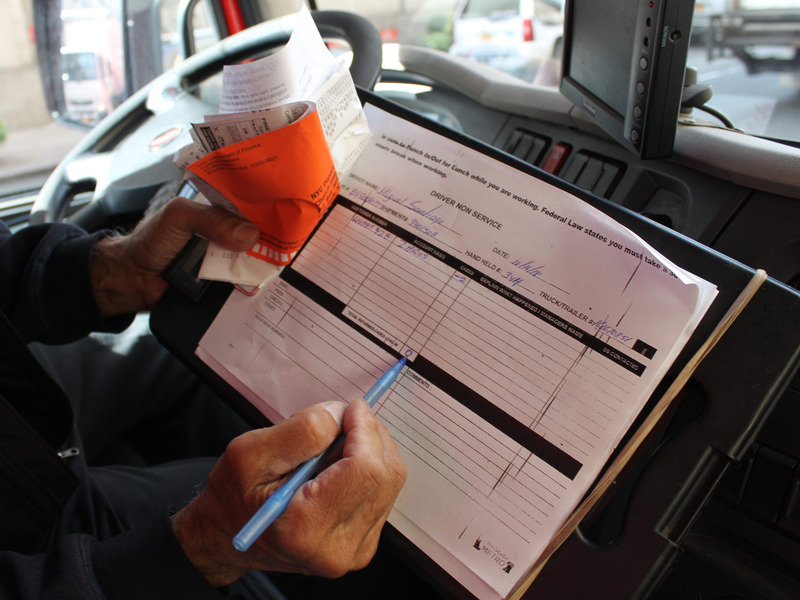 He helps Santiago and two other drivers during his day. It’s a 12-hour shift. 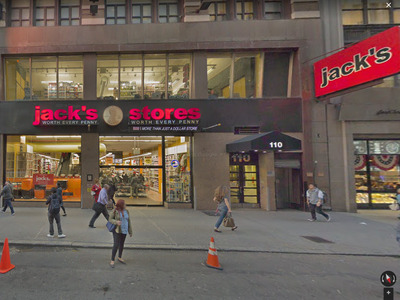 From there, they headed to Jack’s, a discount grocery chain a few blocks from Penn Station. 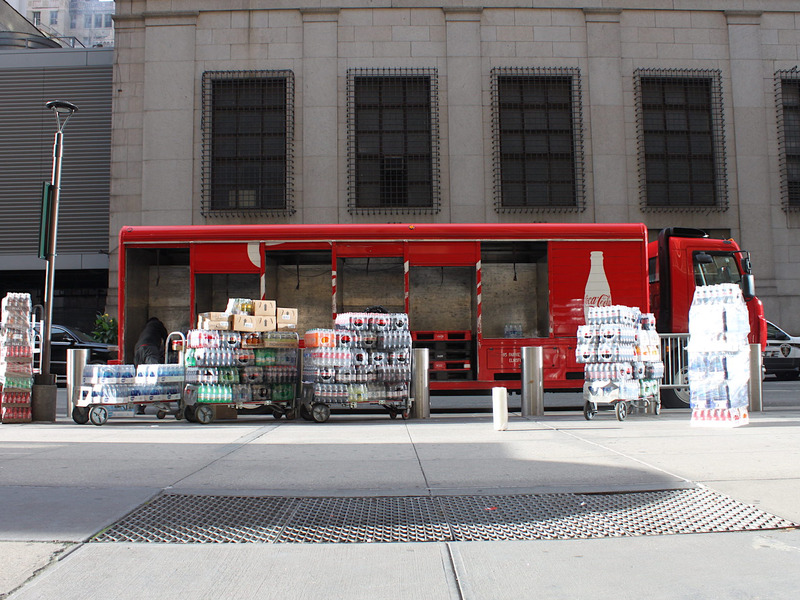 While they were unloading the truck, they got a parking ticket. The company will pay for it. This happens pretty frequently, Santiago said. 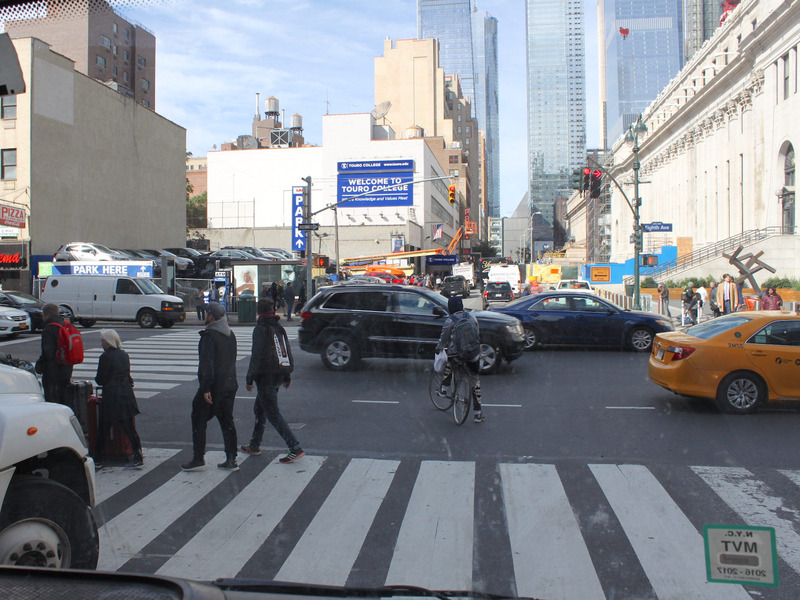 It’s stressful driving in New York, as, year over year, there are fewer and fewer parking options. He’s noticed over time that the streets have also gotten more narrow due to the addition of bike lanes and bus lanes. Those lanes are good for the people who use them, but they complicate the lives of delivery drivers who need to park in one of the most densely populated cities on earth. 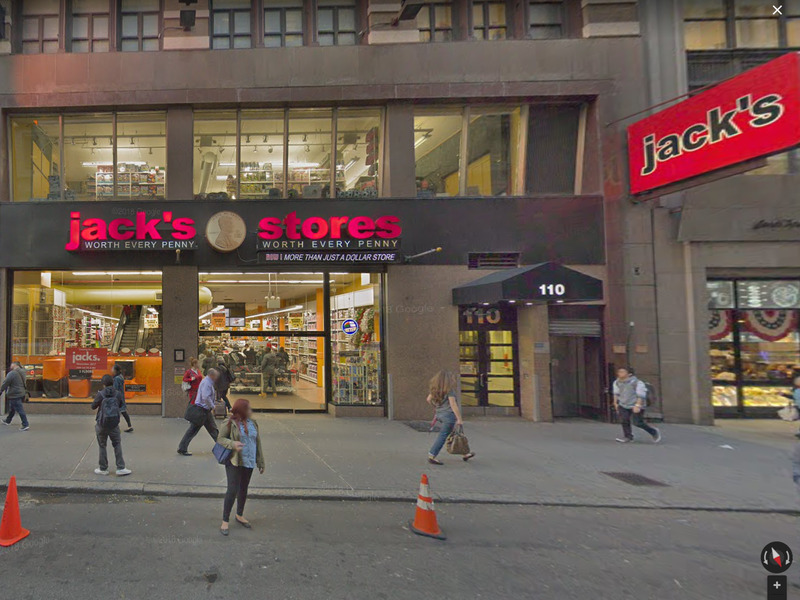 Jack’s was the only store on their schedule where they needed to do ‘pack out,’ or loading the shelves themselves. 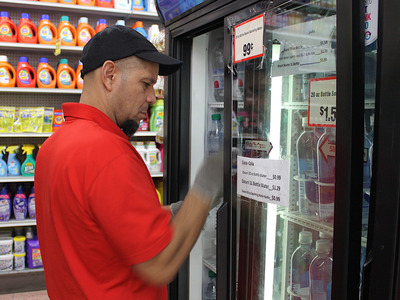 They worked quickly and mostly in silence, stocking the shelves in about 20 minutes with fresh product. We headed back to Penn Station at 8 a.m. The sun was finally out. I’d been out and about for more than five hours. Usually, I wake up at this time. While they made another delivery at a building that wouldn’t allow me to get in (I needed a certain kind of insurance), I grabbed a cup of black tea. Then, it was time for the big unload. 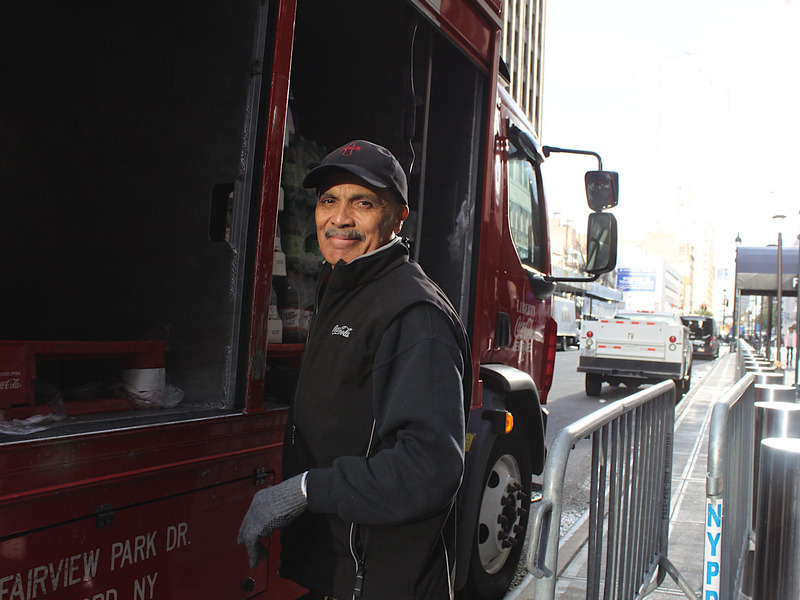 Most Penn Station vendors don’t start receiving deliveries until 11 a.m.
By the time they wrapped up the delivery at the vendor I couldn’t get access to, it was already 9:20. 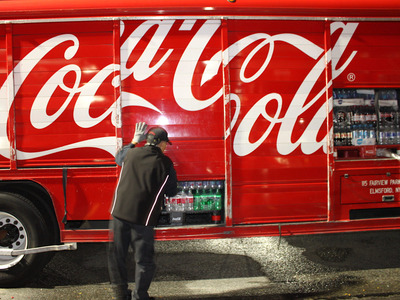 That left nearly two hours to unload dozens of cases, each with 24 bottles, and several carbon tanks full of the gas that gives soda its fizz. Then, they have to push the carts with the beverages through the underpass of Penn Station to get to each vendor. As they unloaded, I chatted with Gonzales. He said he plans on retiring in 2019 and moving back to Puerto Rico, where he lived until he was 5. The carts started to pile up on the footpath. Gonzales said these carts sometimes fill up the entire footpath, but fewer folks are buying cold beverages as the weather gets chillier. Business will pick back up in November and December for the holiday season, then slow down again until the springtime. 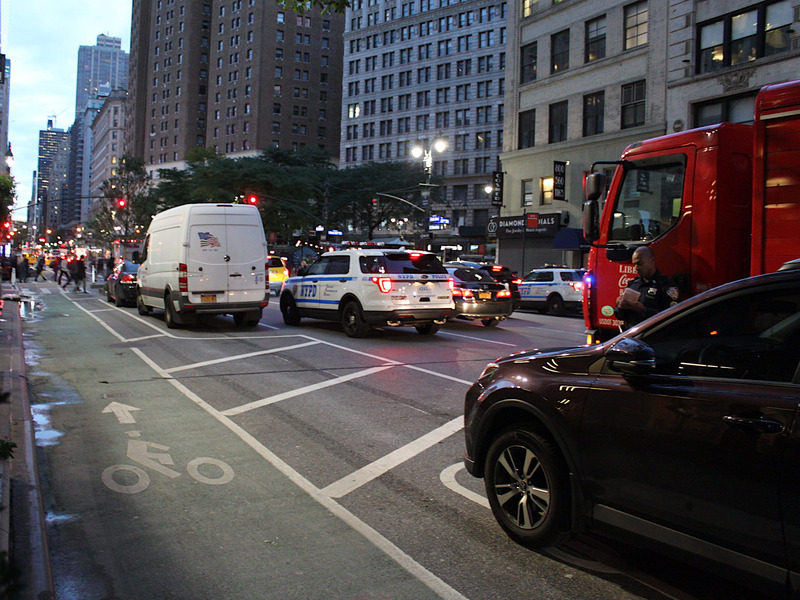 I noticed that Gonzales and Santiago were constantly at odds with foot, bike, and vehicle traffic as they did their jobs. 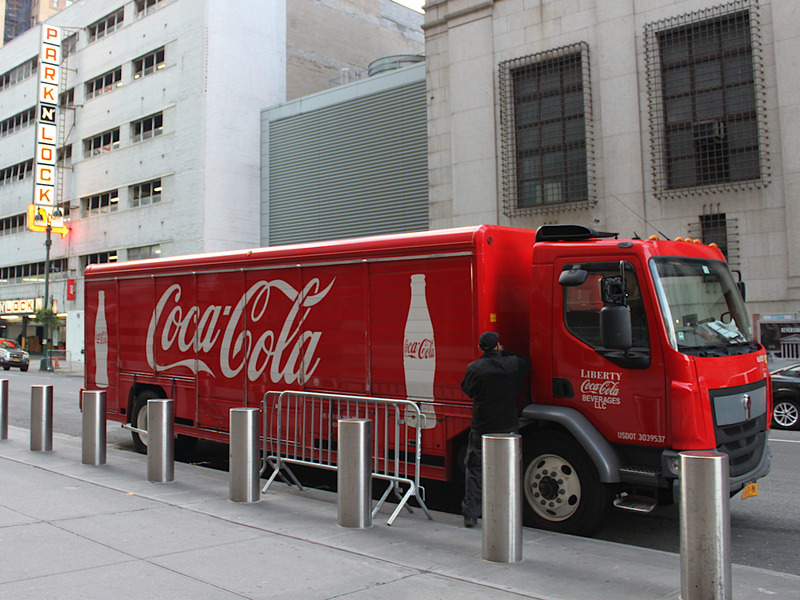 In a place like Manhattan, it’s hard to carve out a space to make deliveries — even for products that consumers love. It took just under an hour to empty the truck. 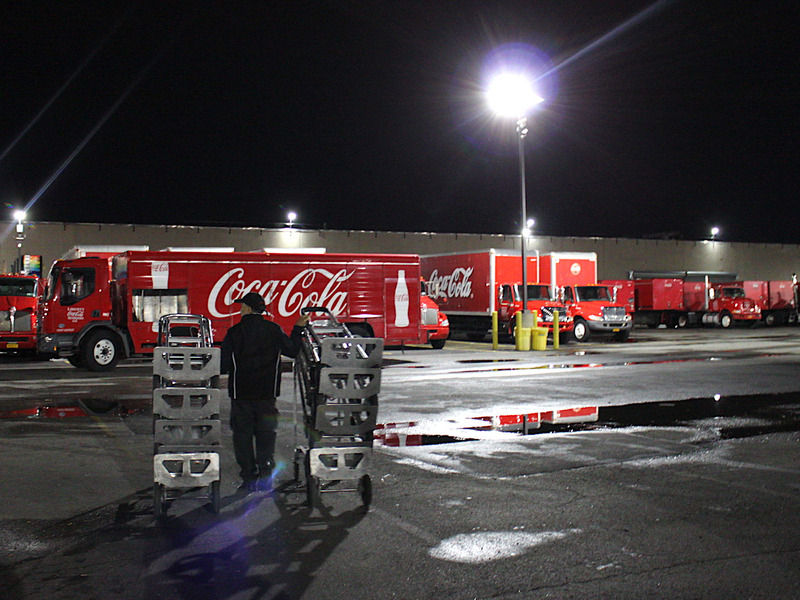 They brought the carts to the loading area. Each cart weighs a maximum of 175 pounds. The two men had to throw their weight against the carts to move to them to the entrance — it looked strenuous. Santiago told me later that one benefit of his job is staying in shape so he can practice sports with his granddaughter. She’s a Taekwondo champ who has competed around New York City. 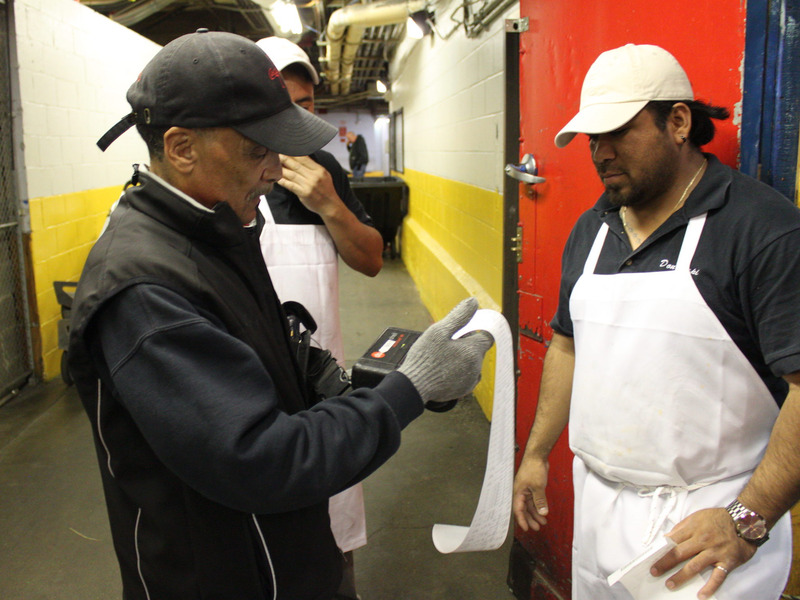 At 10:20, they checked to make sure they had all of their shipments for each customer, working through the lists together in Spanish. Santiago noticed there were two missing cases of Sprite, so he went into the system to make sure the customer wasn’t charged for them. 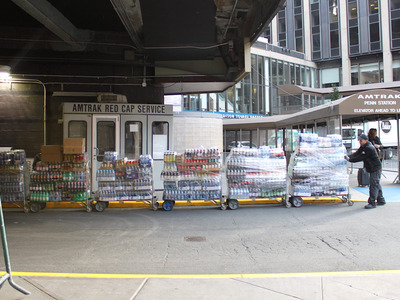 Gonzales entertained my question of how many bottles in total they’re about to deliver. He sketched out the hefty multiplication problem on a piece of plastic. “Not exact, more or less, about 4,000 plus,” Gonzales concluded. 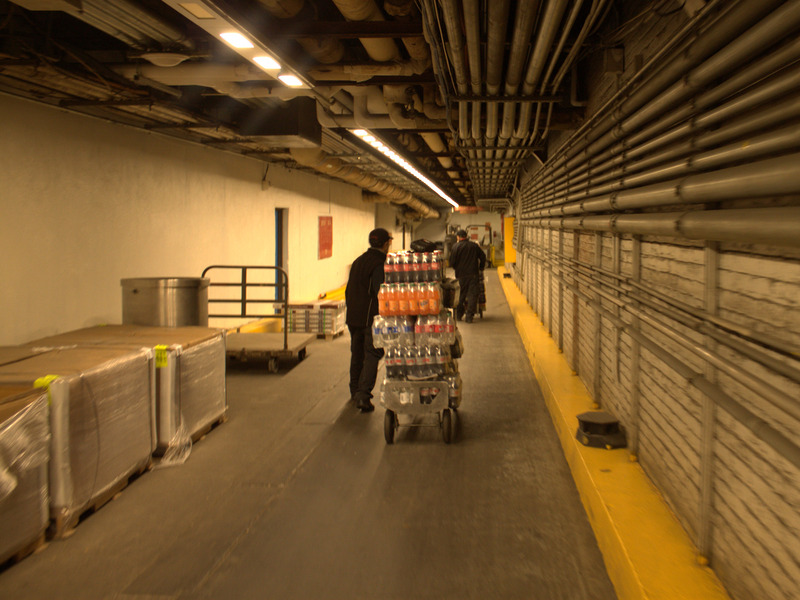 By 11 a.m. they were pushing the super-heavy carts up a ramp and into a freight elevator that took us into the underbelly of Penn Station. The freight elevator holds up to 16,000 pounds. A normal passenger elevator, for comparison, maxes out around 2,500. 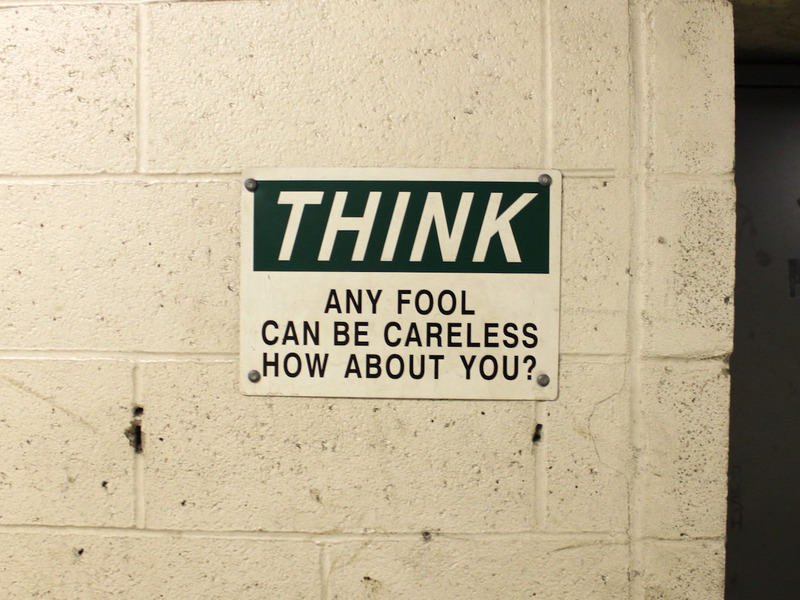 The area was full of safety signs like this. Louis and Santiago deftly moved the thousands of bottles through the storage area and into the part of Penn Station I’m more familiar with. 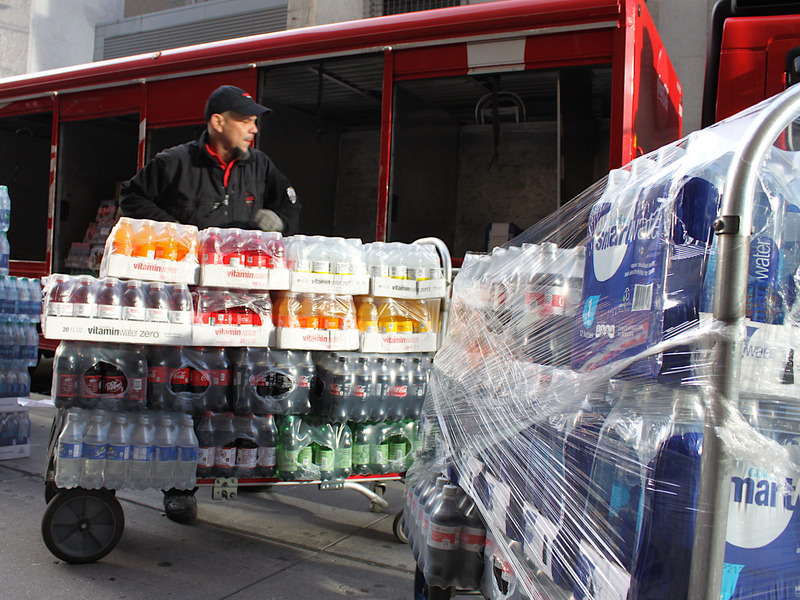 By slightly after noon, Santiago was finished with his deliveries for the day. 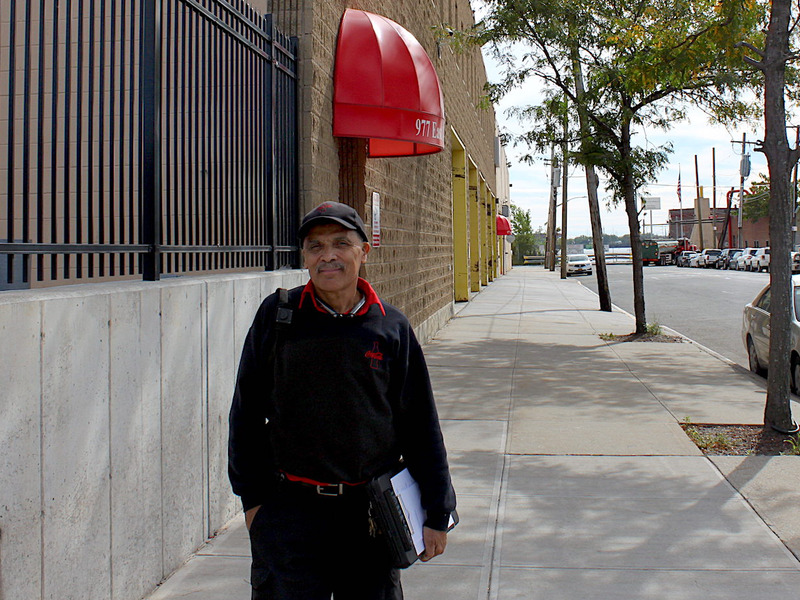 Gonzales went to help one more driver before he headed home around 3 p.m. I expected them to be exhausted, but they remained in high spirits. I ask them for a quick photo shoot before Gonzales took off again. 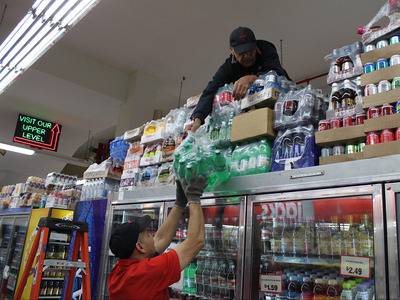 Before heading back up to Liberty in the Bronx, Santiago noted in his neat handwriting the two missing Sprite cases. Manhattan at 12:30 p.m. was suddenly much busier. While our morning ride took just over 30 minutes, the traffic getting from Penn Station back up to the Bronx made our trip an hour long. 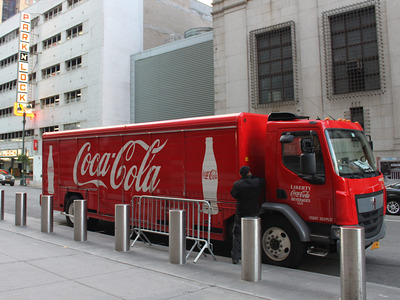 We got back to Liberty Coca-Cola at 1:30 p.m. It looked totally different than it had when we left at 6 a.m.
… and swept it up. He checked the engine and made sure everything looked up to snuff. By 2 p.m., Santiago headed back into the Liberty offices to wrap up his day. He hung up his printer and scanner. One of the vendors had paid cash for their beverage delivery (nearly $US900! ), so he gave that cash to the manager. He also told someone about the two missing Sprites. Santiago told me that he usually goes home and eats lunch with his wife. Lunch changes every day – the day before was Chinese food. By then, it was just one more hour until his granddaughter would be coming home from school.